After I showed you the new board and batten treatment we hung on the walls of our playroom last month, a few of you said you wanted to try it yourself. I thought it would be helpful for you to see the rooms and DIY tutorials that inspired us when we were planning ours. #1: Donna of Funky Junk Interiors added board and batten to the focal wall of her bedroom, which adds texture and interest. #2: Kimba’s board and batten tutorial at A Soft Place to Land shows how to angle the boards at the bottom so you don’t have to remove the baseboard. #3: The Nester installed it in her home office a little over halfway up the wall. With the paint color above it, her version looks really cozy and warm. #4: The tutorial at It’s the Little Things That Make a House a Home was a big help to us when we were trying to figure it out ourselves. #5: If that’s not enough to get you started, you can see the before and after photos of our playroom project and read all the details about how we did it here. WOW!!! I absolutely LOVE how your playroom came out! That is the “look” I’ve been trying to get with mine!! Thank you for sharing your tips and tricks. But please tell me that it is “never that tidy”… this seems to be a recurring problem with my playroom! I keep threatening my 3 kids that I’m going to take it over as my office! Haha.. Great job! .-= Janell Beals´s last blog ..A Great Little Find At Target! More Master Bedroom Updates =-. .-= Laura´s last blog ..A cork love story =-. I feel the need to board and batten every thing, I just need someone to do the work! I think it’s time for my 21 year old grandson to learn some skills…LOL! I would love to watch the Nate Berkus show, but fear I have missed it today. It seems it airs at 2:30 AM here!! Guess I’ll have to set the DVR..If I can remember! Beautiful rooms with board and batten! Keeping my fingers crossed that they use your photos on the Nate show!!! .-= Kristen´s last blog ..Decorating must have! =-. Thanks, girl!! We plan to use this in our next home and I shall bookmark this post!!! .-= Nancy Hood´s last blog ..Happy Birthday- sweet Elle =-. I just love your playroom, Julia. I’d really like the try this treatment in our bonus room. Have you seen any articles re: B&B on walls in rooms with varying ceiling heights? This is a room over our garage, and it has some sloped ceilings, a large dormer, etc.–the kind of thing you’d expect in a bonus room, I guess. I think B&B might be a good look for it, and I’m thinking that many homes of the early 20th century might have had this kind of wall treatment in rooms with sloping ceilings. Do you know what I mean? .-= Richella at Imparting Grace´s last blog ..Greeting autumn at the front door =-. I have some beadboard up in my kitchen/breakfast nook. Can I still do board-and-batten in the family room which is near it? OK to mix? Need advice. Thank you f or the valuable links, Julia. We have used board and batten walls in rooms with bead board ceilings very successfully so I would think you’d be fine with the two near each other in separate rooms. We always keep the beadboard and board and batten the same (trim) color and typically use either 1/4 round or small crown molding to transition at the ceiling. I love batten board. It makes a house look nice. Thanks so much for sharing all the links! I’ve been visiting and revisiting most of them for a while now…trying to get the nerve up! .-= leen´s last blog ..Autumn Wreaths =-. I love your blog and your playroom is beautiful! Love the North, South, East & West on the tray ceiling in your last inspiration pic. Such a cute idea. Love this look. So classic without being stuffy, so, if you ask me, any plain room gets instant personality! 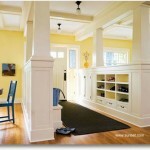 Great post… I adore board and batten and having been planning to install it in our mudroom as part of a whole-interior redesign! Nice to see all the different applications. .-= moderncottage´s last blog ..Going green =-. Love this! Your room looks fantastic! Such a great round up of all these projects! I might have to start DVRing the Nate Berkus show. Boo for working! 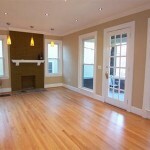 .-= Jess @ Frugal with a Flourish´s last blog ..How much is TOO much in a rental =-. You saw the photo I posted of my DIY board and batten. (green/blue wall w/ two red tub chairs,console in between ) that was just one wall in my loungeroom. Now I can’t decide wether or not to do that whole room the same or just keep to the one wall. I’m worried that if I do the rest of the room I wont be able to stop just there ! I love it in the bedroom !and the study ! and the hall way ! Ahhhh!!! forget the board and batten….that bed in the first picture looks like the most comfortable bed I have ever seen…. I love the lights from Ikea in your playroom. I was thinking of using them somewhere in my house. Just curious if they give enough light. Thanks! I just love this look!! .-= Vicki @ In The Sandbox Comic Strip´s last blog ..Birds of a feather =-. These are inspirational and helpful posts, thank you! Your playroom really turned out wonderfully, so bright and cheerful. I want to play in there! The rooms are all gorgeous! I love your playroom, Julia, and also that pretty sage-green study. But I have to admit: I don’t know much about “board and batten” (like, whether it is a noun or a verb…lol!) but I find the height of the boards on the walls interesting. I’m not sure if I could handle that height in my house – I would feel like a hobbit! (I’m also 5’1″ so it’s probably just me, though!) I guess I just imagine any sort of border or trim or wainscoting as being about hip-high (a la https://mitrecontracting.typepad.com/photos/wainscot/0052.html)…having the boards reach that far up the wall, over my head, would make me feel like I shrank and I think it would drive me nuts! But I’m curious, is this the “traditional” or the “usual” height for board and batten that doesn’t cover the whole wall? Does anyone know why it is more common for board and batten to be so much taller than other kinds of trim? .-= Kate (Little Beach Bum)´s last blog ..Quote of the Day =-. I absolutely LOVE board and batten and I totally appreciate all of the inspiration photos in one place. I am thinking about doing this in a future nursery, so I need all the help I can get. 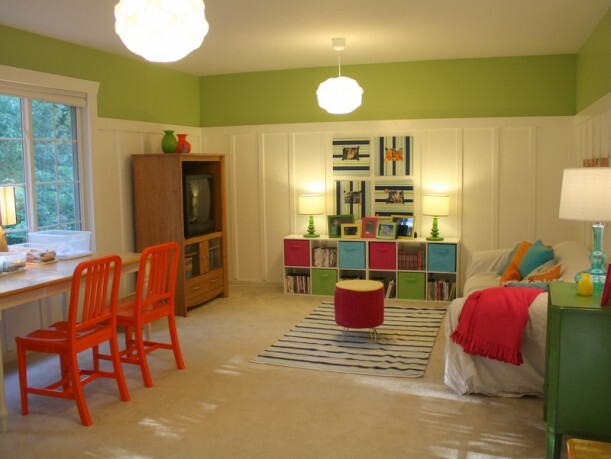 BTW – I love the bright cheery color you used above your board and batten in the playroom. It is the perfect balance for a fun and creative space like that!! Great job! I’m embarrassed to say this, but I didn’t know this treatment is called board and batten. And I’m a finish carpenter. Oops. Thanks for the enlightenment. #3 The Nester is my favorite.